On Sunday, January 15, 2006, a capacity crowd packed into St. Marks Church in NYC, to hear Webster Griffin Tarpley speak. The event was sponsored by 911Truth.org. 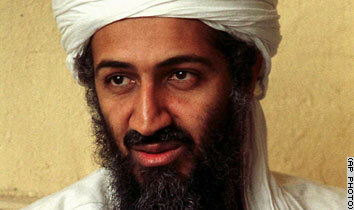 Osama Bin Laden - Diabolical Boogeyman, or Government Scapegoat? With the release of a new audio tape purportedly from Osama Bin Laden I thought now would be a good time for a quick summary on this international man of mystery. I figure with a few simple questions it should be pretty easy to tell if Osama is the diabolical boogeyman as the Bush administration advocates, or if he is a government scapegoat that works for this administration's best interests. Are we actively searching for Bin Laden, or do we willfully avoid his capture? "The American public have not heard who is the real culprit behind 9/11"
Most Gagged Whistleblower in US history Sibel Edmonds joins Alex Jones on air, says there are strong criminal elements within all three branches of Government. Edmonds was hired shortly after Sept. 11 to translate intelligence gathered over the previous year related to the 9/11 attacks. She says the FBI had information that an attack using airplanes was being planned before Sept. 11 and calls Condoleezza Rice's claim the White House had no specific information on a domestic threat or one involving planes "an outrageous lie." Thanks to the hard work and personal efforts of James Richards we will be holding a special public screening of Loose Change 2. This documentary about the events of 9/11 will surely convince you that the official conspiracy theory of 9/11 as told to us by the Bush/PNAC administration is nothing more than a series of lies and deceptions. NYC police and Firefighters are encouraged to attend as well as members of the media and the NYC Department of Justice. The screening will be in New York City at the Pioneer Theater on February 11th at 9:00 PM. A screening and discussion will be held. Refreshments will be served. Seating is limited. In an audio tape broadcast on Aljazeera, Osama bin Laden has warned that al-Qaida is preparing an attack very soon, but also offers Americans a "long-term truce". This new tape from the ultimate boogey man makes almost no sense at all, what does it mean? Open thread, have at it, I'll post something more about this tonight. I went tonight to check out the article on 9/11 in this month's Vanity Fair (Lindsay Lohan on the cover). The article is primarily focused on two new 9/11 related movies entitled 'Why We Fight' and 'The Unrecovered', and how Michael Moore's 'Fahrenheit 9/11' opened the door for such controversial documentaries. While the majority of the article was rather tame in covering anything outside of the official story, there were a few snippets I thought I should share. By taking the gloves off the documentary, Michael Moore opened the door for such gut-punching movies and Why We Fight - which exposes the military-industrial complex's reign of fear and post-9/11 coup d'etat - and The Uncovered, a piercing of the veil that enshrouds the World Trade Center attack. Unsung Heroes Helping Heroes, Inc. is a not-forprofit organization co-founded by responders, rescue and recovery workers of the 9-11 tragedy. Members have first-hand knowledge of the impact to health and emotional well-being resulting from their heroic response to this national disaster. The conference will focus on the social, medical, economic and legal ramifications still faced by responders, rescue and recovery workers. Panel discussions will be interactive, providing ample time for questions and open discussion. Individual access to physicians, social workers, attorneys and clinicians, familiar with the health problems and legal consequences of medical impairments resulting from work at Ground Zero, will be available throughout the day. Lung function testing will also be available. Author of 9/11 SYNTHETIC TERROR on TVNL Radio, Monday! Webster Tarpley on TvNewsLIES Radio - Monday, January 23rd, 12-2pm Est. Webster Tarpley will be discussing his new book, 9/11 Synthetic Terror: Made in USA and will be taking your calls and answering your e-mails live on TvNewsLIES radio. You can watch Mr. Tarpley speak about the myth of 9/11 by clicking HERE! Until the latter days of 2001, President Bush's skeletal talents for peacetime democracy were creaking out of the closet and down the ravine of opinion polls. He was a Hoover in the making (the president or the vacuum, your pick). Osama bin Laden to the rescue. His one-hit wonder on the Twin Towers and the Pentagon did wonders for a presidency looking for salvation. And the most imperial presidency in the nation's history was off on its wolves' hunt, with democracy for a battle flag.